The Blue Cartridge is the most obscure Magnavox Odyssey accessory. 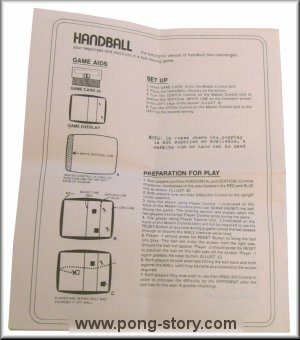 This 2-in-1 cartridge replaces both Handball and Volleyball add-on games. It is unknown why Magnavox released these two games as a single cartridge since they were already available as boxed add-ons with overlays and color manuals. Either there were commercial reasons, or this is a bootleg sold by a local, obscure company. Interestingly, blue cartridges were only found in Miami with Odyssey units in the add-on carry case. It is unknown whether Odyssey units were sold in the carry case instead of the regular two-level box. A local promotion could have advertised the Odyssey as being sold in the carry case and with the blue cartridge. 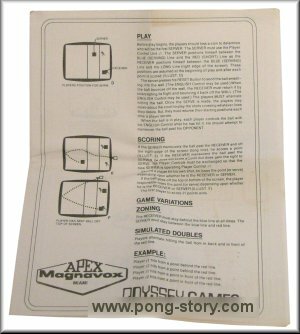 The blue cartridge came in a small plastic bag with two A4 sheets of paper (one per game) folded so as to allow two A5 instruction pages. One text was added on each page to warn the customers that the overlays may not be supplied or available. It is believed that they were never supplied with the blue cartridge. 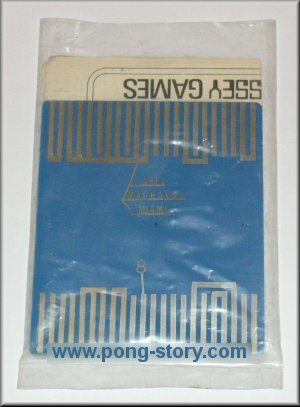 Since both games used no other accessories like plastic chips or carton cartridges, users could draw their own overlays, hence the suggestion of using a marking pen or tape. Left: the Apex-Magnavox blue cartridge (Handball side) and manual in its plastic bag. 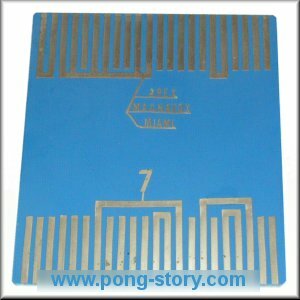 Right: other side of the blue cartridge for Volleyball. One of the two instruction papers. Each is a folded A4 sheet with two A5 printouts. Additional text on each instructions sheet of our specimen.